Accept Bitcoin on your store through BitcoinPay and receive payouts in euros or US dollars. This plugin is API integration with easy setup with no programming skills. Plugin automatically send and receive Payment transactions to your Bitcoinpay account! 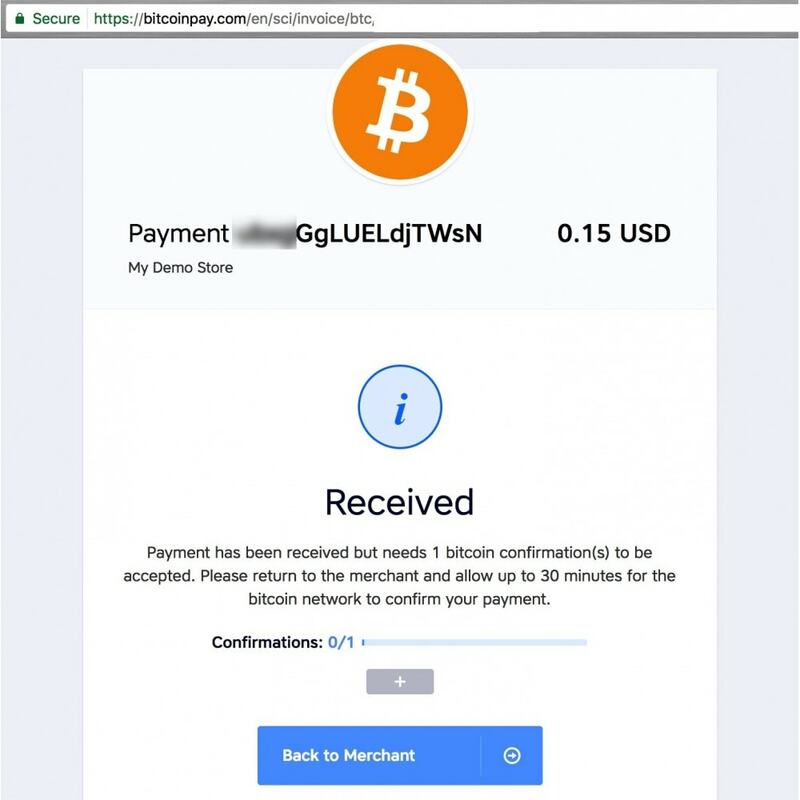 The BitcoinPay payment module processes the customer's and order information by sending the data to the BitcoinPay gateway's web server, which then makes the sale and sends the confirmation back to the your website. When a customer chooses Bitcoin payment option, page is generated, which displays the sum to be payed in bitcoins calculated in real-time by comparing bitcoin prices in several biggest bitcoin exchanges, a Bitcoin address and a QR code. 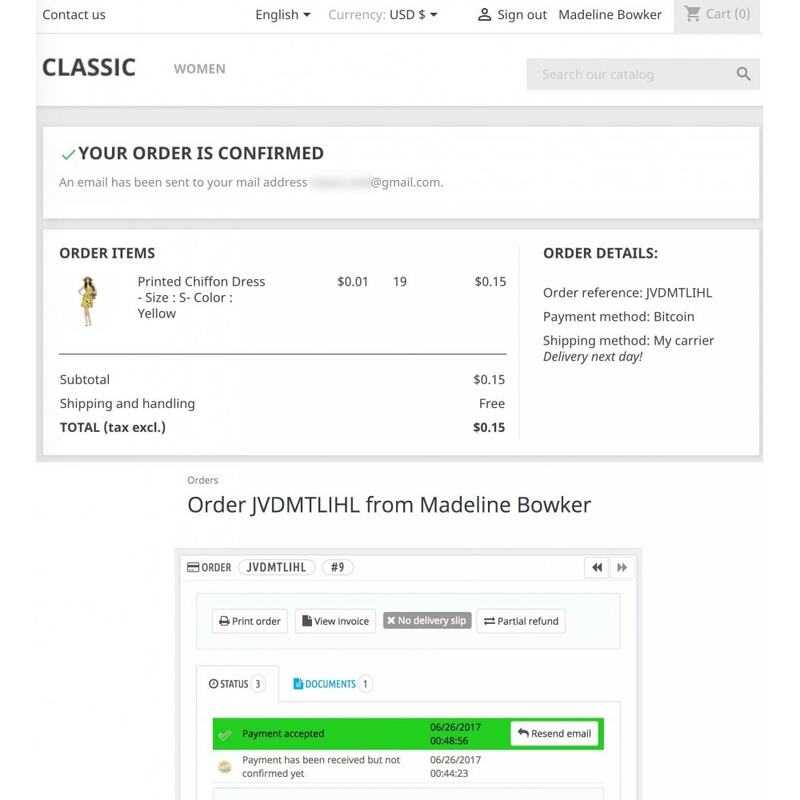 The customers can either use a Bitcoin wallet on their smartphone, or scan the QR code or use a Bitcoin wallet on their computer, or use other bitcoin wallets to pay for the invoice.